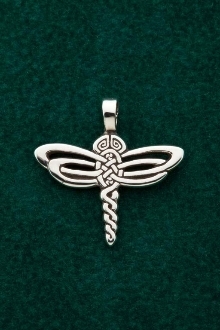 This original design was crafted in honor of the dragonfly considered the guardian and protector of the fairies and the spirit world. In several cultures, dragonflies are associated with those who have gone before us into the world of spirits. In fairy tales, the dragonflies were viewed as the steeds of the fairies in epic battles against evil forces.